This Girl came to us from Erics Mom in 1996. She came from the original Tamarak. We are thankful to have had several years to enjoy Gee. She showed games with Cayla and Abigail, and Hunter with Abigail and Tessa. Eric even showed her some and she was the perfect trail buddy. 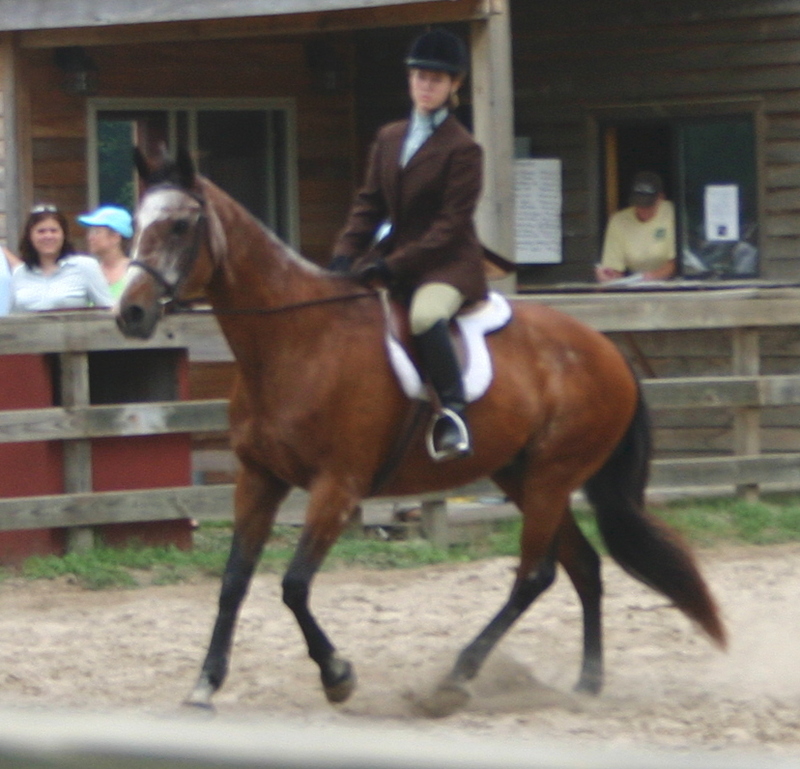 She probibly made the biggest impact on my life as she was a patent teacher for me while learning to canter and flounder over the jumps, just so I could ride with the girls while they were jumping there ponies. She never got mad at me or held a grudge. We could trust her completely with Abigail as young as she was when she started showing. Gee would listen to the judge as well, just incase Abigail forgot to tell her what to do. Watching Eric show off with no saddle, no bridle and no hands as they performed one tempes across the arena was always a thing of beauty. Gee touched everyone she ever met in someway and was such an amazing ride. She was that once in a life time horse that you will never replace. She is Missed. Chandler was Erics girl. She came to us starved, neglected, miss treated and with horror stories galore. She was wonderful and patient and underweight with matts in her coat she still had that sense of Majestic ability surrounding her. She stood in at almost 17 hands, and went on to show us she was simply a lost talent that needed someone to trust her and Eric did just that. And let me tell you, WOW that girl could jump. Magics partner and Blends bestest girl friend she fit in nicely around the farm. She was with Magic when I was involved in a truck wreck I had been hauling them and was struck head on when a man was speeding around a curve left of center and hit us head on with an impact in excess of 100 mph. The amazing faith in trust in us that her and Magic showed would bring tears to your eyes. In the beginning, She was unloadable. When I went to pick her up and the horrid man that tried to help us load her wanted to beat her on the trailer. After she was crushed to the floor of the horse trailer in that wreck (Magic took several stiches to his head) Her and Magic both walked right back on the next trailer to get to the barn. Eric said his biggest regrett after her passing was she had so much more in her than what he took advantage of. She had come from a neglected past where she was a constant colic we believe this was caused by little water and severe parasite infestations. 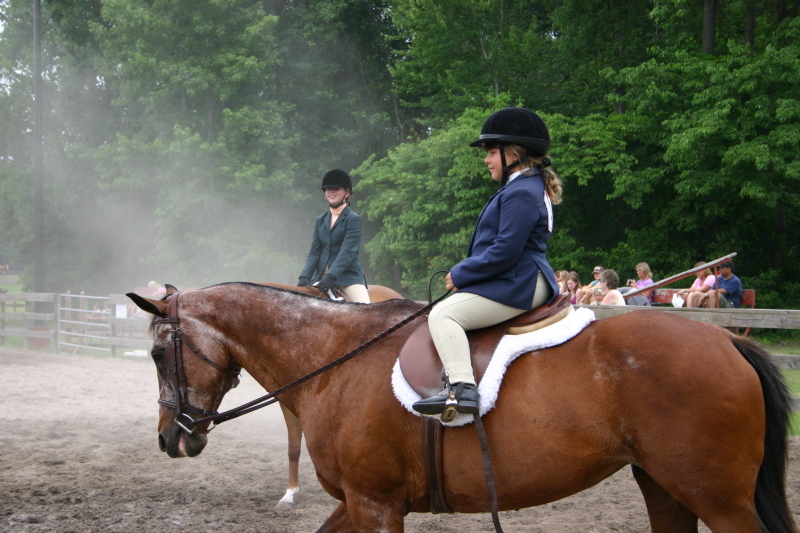 She would go on to colic every change of season no matter what we did. These were ussually slight and we had her back to ok by the time the vet could arrive. I rushed her to the clinic that night and we were quick to realize that it would be Chandlers last battle. She lived out a good life here and left us just as quietly as she arrived that easter morning in 2000. We all miss her dearly and remember the graceful beauty found in one dark corner of the world. Heart! My god that little pony had a HUGE Heart. He would give you 110% every time. And what a handsome boy he was. He also loved people loved everyone and everyone loved him. He started out as Tessa's guy and went on to take care of Abby later. Was also Gee's man and she let everyone know that. Smokey was an amazing guy and would do it all. In their hay day Tessa and him would Show hunter one weekend Barrel race and game the next weekend and then go on to show combined training and let me tell you that that little horse would out jump a field of horses twice his size. They jumped a Jokers gamblers choice once beat the leading warm-blood by almost 75 points they looked like they had wings and flew with angles that day. He went to many a summer camp with Tessa and Continued the tradition with Abby. We had purchased him knowing he had dehydration issues as he had been a chronic colic. Bless him and that dark coat of his we dealt well through the years. Still colic was a very big fear on hot days and Change of season. Colic took Smokey down in sept and it hit him hard and fast . Smokey fought bravely and let us know when it was time and he left us with just as must quiet Strength and absolute courage as he brought to us every day he was on this planet. Rest in peace Big boy Knowing you are still, Loved, Missed and Cherished for the amazing creature and loyal friend that you were.